Taking a drone with you when you fly presents a number of challenges that are similar to the challenges that passengers have when traveling with valuable electronic items like computers, primarily protecting them from theft and from damage. Other issues that are unique to drones include traveling with spare batteries and dealing with potential issues when crossing borders. 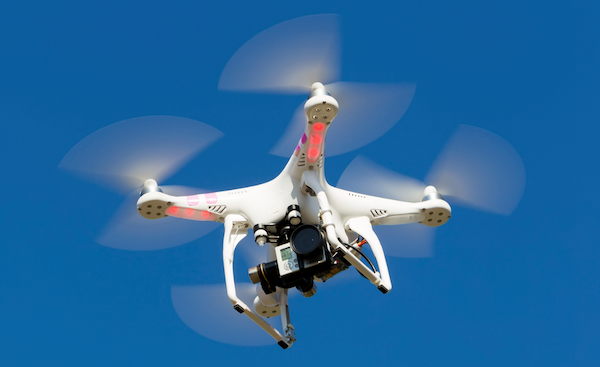 By taking a few basic steps, most drone owners can minimize risks due to loss, damage, confiscation, or theft. The drone is capable of recording and storing flight data, photographic or video data, and other information in a portable, removable storage medium like a micro SD card. These characteristics allow many drones, as well as their associated system components, to be placed in carry on bags. In order to put your drone-related equipment in a carry on bag while staying within the rules and restrictions of airport security representatives or airline representatives, you should take actions that will make drone-related travel issues much less likely. Carry on or checked baggage? If you have a choice, pack your drone, and your support equipment, in a carry on bag and not a checked bag. This is because airlines typically will not offer you any compensation if a drone in a checked bag is lost, stolen, misplaced, or damaged. This compensation policy is similar to that followed by most airlines when it comes to valuables like cash, computers, mobile devices, and jewelry that may be placed in a checked bag. Rechargeable batteries with a capacity of 100 watt-hours (Wh) or less are allowed on aircraft. Individual airlines may further restrict or ban batteries with a capacity between 101 Wh and 160 Wh. Rechargeable batteries with a capacity of over 160 Wh are not allowed on aircraft. Uninstalled (spare) rechargeable batteries of any capacity are not allowed in checked bags. Travel with less: Consider not taking your drone at all, or perhaps traveling with as few drone-related accessories as possible. Separate the data from the device: If your drone has any stored information, including flight data, videos, or photographs; then ensure that the data is either backed up, or the storage medium is removed and kept either on your person, or in a carry on bag that is small enough to fit under a seat. Discharge your rechargeable batteries: Ensure that your rechargeable batteries, either in your drone or spares that you may carry, are discharged to much less than 50% capacity. Put as much as you can into a smaller carry on: Because it is very unlikely that your airline will require you to check a bag that is small enough to be placed under a seat, you should place as many of the more valuable, sensitive, or fragile drone system components as you can into a smaller carry on. Understand your airline's carry on rules: Each airline has a number of rules about carry on bags, including their size and weight. Typically, they allow passengers to have two pieces of carry on baggage, one that can fit in an overhead compartment, and one that can fit under a seat. Ensure that your bags meet these criteria. Plan to have the bag with your drone checked: If your drone is in a carry on bag that can only fit into an overhead compartment, the crew on your aircraft may have to check that carry on bag for any number of reasons. Ensure that all of your spare rechargeable batteries are in a carry on bag, because they are not allowed in checked bags. A rechargeable battery that is installed in a drone is allowed to be in a checked bag, so you don't need to remove it before you check your bag. Be prepared to deal with your airline's lost bag procedures or complaint process in case your checked bag is lost or misplaced. In the US, with the exception of spare rechargeable batteries and rechargeable batteries with a capacity in excess of 160 watt-hours, you should be able to take your drone and drone accessories through security screening and onto the aircraft. Spare (uninstalled) rechargeable batteries must be in a carry on bag. Your drone and associated equipment may be subject to additional screening. Airport security personnel or airline representatives may prevent you from carrying your drone on board, even if you have followed all the appropriate rules regulations. If an airport security or airline representative asks you about your drone and drone equipment, answer their questions truthfully. Restrictions on travel with rechargeable batteries are applied across the airline industry regardless of how or where that battery is used. However, individual countries may have different rules when it comes to the drone itself. Before you travel, be sure to check to see if your departure country, your destination country, or any country that you may pass though during your journey have any specific requirements or restrictions on drones.